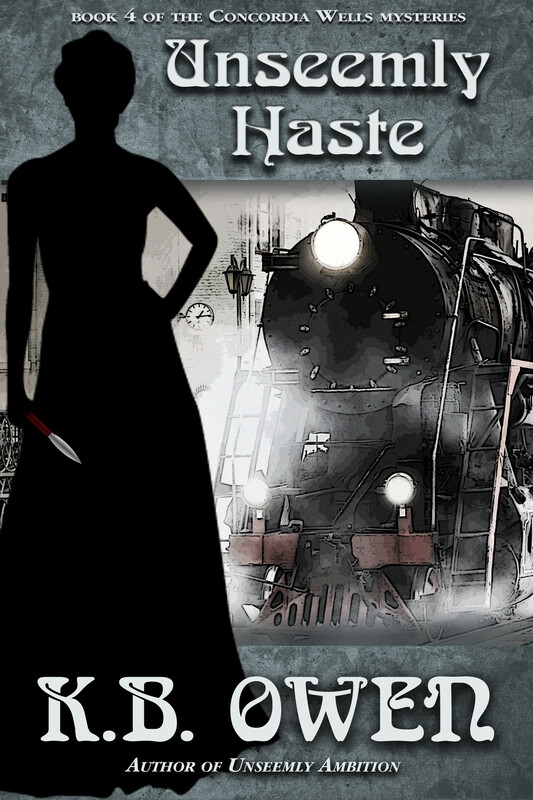 This time, the lady professor is just trying to get away from it all. It is the summer of 1898. Professor Concordia Wells is eager to accompany her friend, Pinkerton detective Penelope Hamilton, on a cross-country train trip to San Francisco. Breathless vistas and exciting locales will be a welcome change from a fiancé impatient to set a wedding date and the threat of revenge from the remaining Inner Circle members back in Hartford. But Concordia should know there is no such thing as a free ride. When the Pinkerton Agency switches assignments at the last minute, she and Miss Hamilton have their work cut out for them. 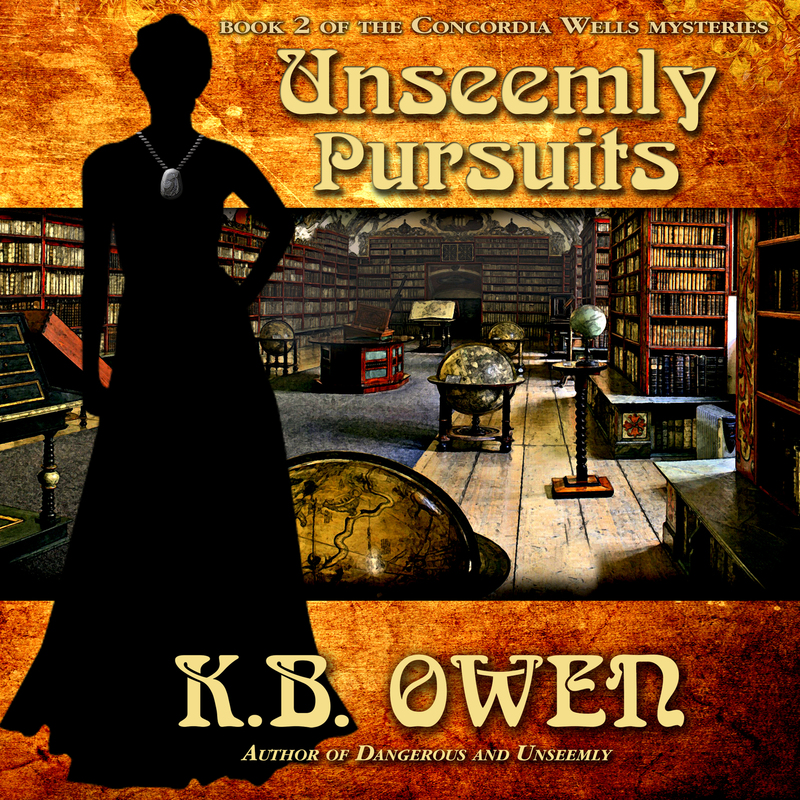 Fellow passengers prove to be both help and hindrance: a lady reporter in hiding, a con man…and a corpse or two. Then there is the handsome gentleman with the dark hair, green eyes, and a secret agenda of his own. Good thing Concordia is an engaged lady. Or is it? 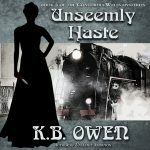 UNSEEMLY HASTE is the fourth adventure in the CONCORDIA WELLS MYSTERIES, featuring 1890s professor-turned-amateur-sleuth Concordia Wells.